Chicken curry made with red curry paste, coconut milk and cooked in one pan. This chicken curry recipe is fast, easy to make, tasty and great as family dinner! 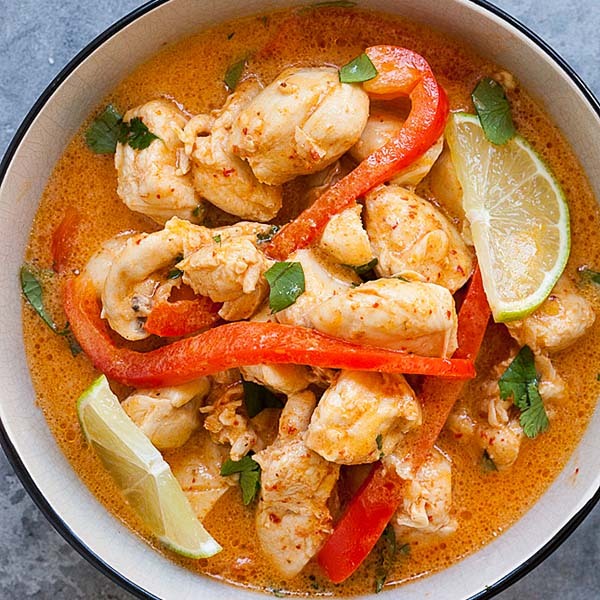 Chicken curry is one of the most delicious Asian recipes you can make at home and this Thai-style red chicken curry with coconut milk is insanely delicious and easy, making it a great dinner that you can make for the entire family. This is also a fast chicken curry that takes 20 minutes to make. 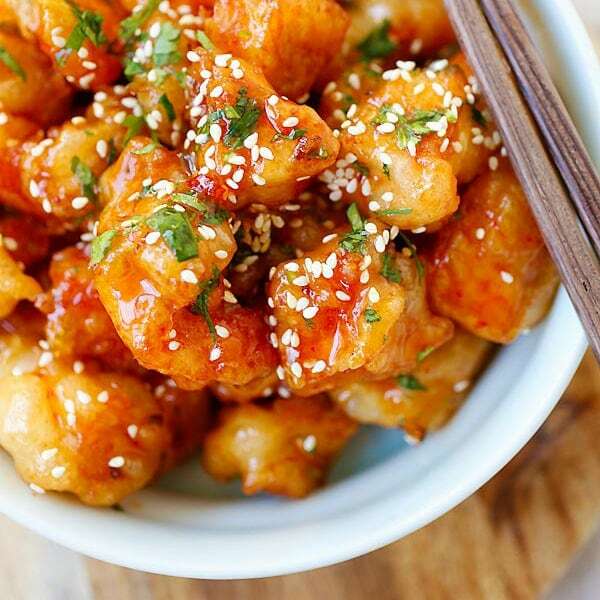 The taste is mildly spicy, authentic, mouthwatering and perfect with steamed rice! How to Cook Simple Chicken Curry? Homemade chicken curry takes only a few simple steps. First, you cook the chicken. Secondly, you add the curry paste, coconut milk, water, seasonings and let cook and simmer on low heat. As soon as the curry sauce reduces and the chicken is cooked, you are done. What Curry Paste To Use? This is an easy chicken curry recipe so we are going to use store-bought curry paste. I recommend Thai red curry paste as it’s easy to get online or at Asian grocery stores. 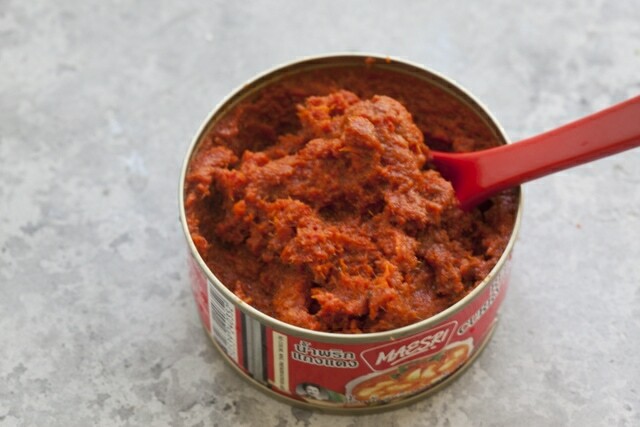 My preferred brand is Maesri Red Curry Paste, which comes in a small can. The curry paste can be stored in the refrigerator and can be used for a few meals. Which Part of Chicken To Use for Chicken Curry? For the best results, use chicken tenders as the chicken meat is so soft and absolutely delicious in the curry sauce. You can also use boneless and skinless chicken breasts or thighs. This is the best chicken curry recipe. The taste is exactly the same, if not better than restaurants. 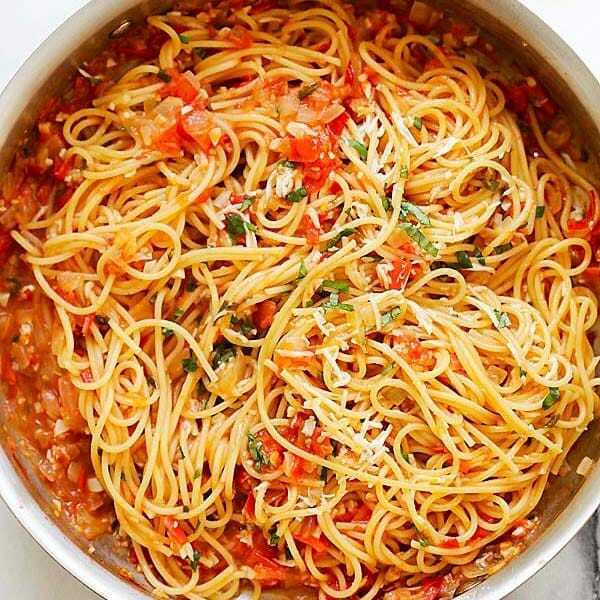 Try it for dinner tonight! 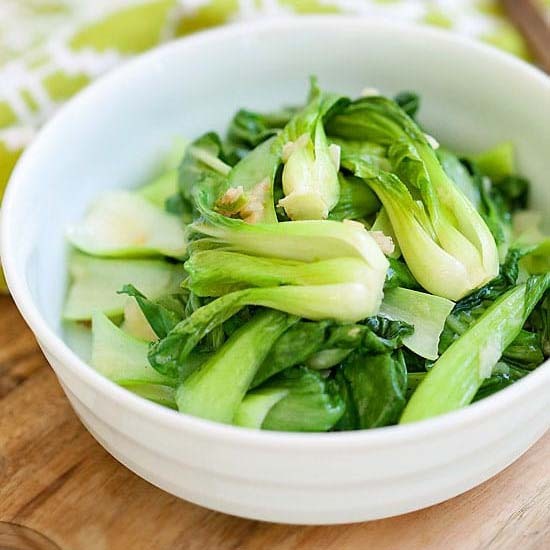 For a wholesome dinner for the family, make the following dishes. Heat up a skillet on medium heat and add the cooking oil. When the oil is heated, add the chicken and cook until the surface turns white. Add the red curry paste, stir to combine well. Add the water, coconut cream, fish sauce, sugar and lime juice. Turn the heat to low and simmer until the curry sauce thickens. Add the red bell pepper. Simmer for another 1-2 minutes. 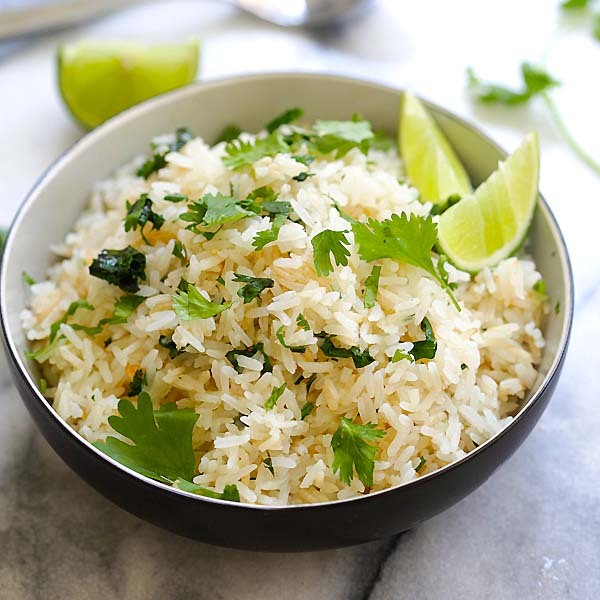 Turn off the heat, add the chopped cilantro, lime wedges (optional) and serve immediately with steamed rice. 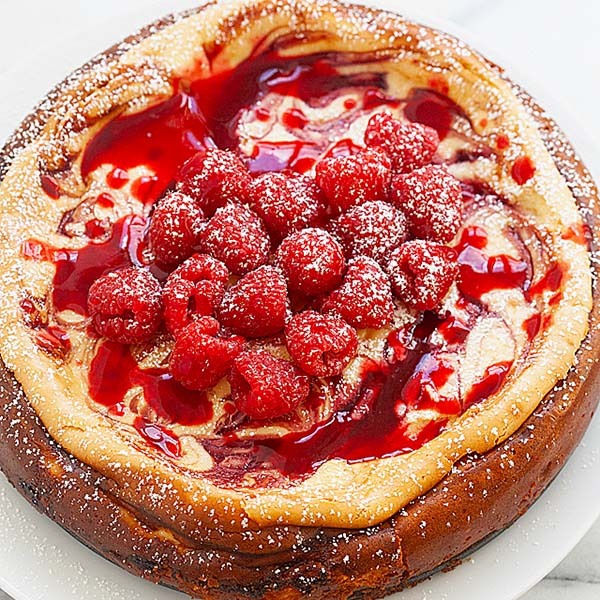 Coconut cream is best for this recipe. I use Kara brand coconut cream. If you use coconut milk, make sure you stir the coconut milk thoroughly before using (use more to taste if you want the curry to be creamier). How about some homemade Thai curry pastes? I can develop the recipe some days! 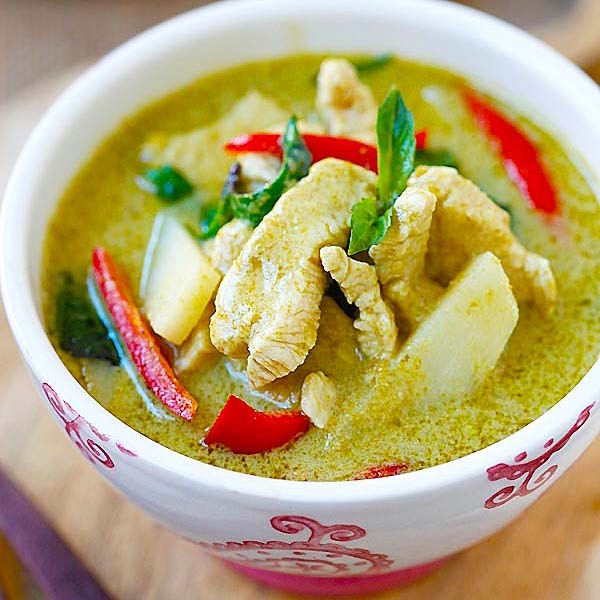 What is the spices used in the red curry chicken? The recipe doesn’t have a list of ingredients, just directions. I’ve no doubt this version is absolutely authentic, but since I like more veggies in my curry, I added some thin slices of onion and zucchini plus a few snowpeas that were lurking in the fridge–about a cup of thinly sliced veggies in total. 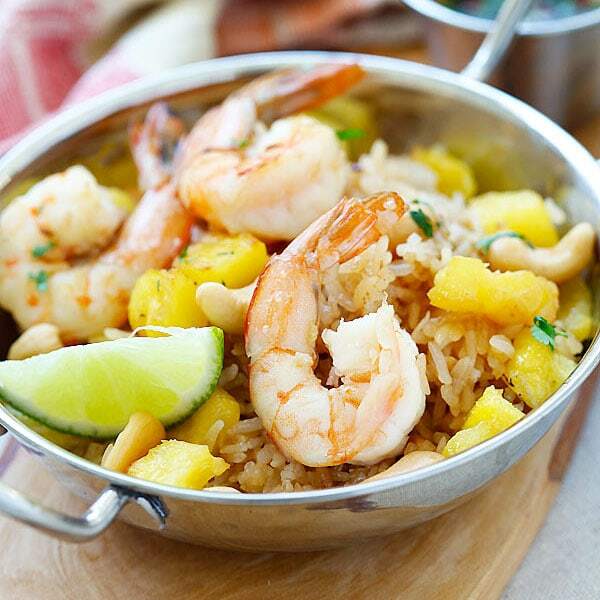 served with your cilantro lime rice, it was absolutely delicious. Hi Janet, that’s awesome, your dinner combinations sounds delicious. 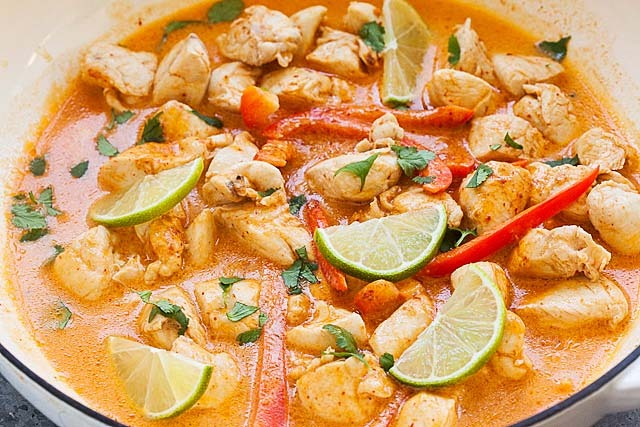 So happy you tried my red chicken curry recipe!